HE SELLS THEM FOR $8.00 EACH. WHAT IS HIS PERCENTAGE PROFIT? B IF HE SELLS THEM FOR $5.00 EACH WHAT WOULD HIS PERCENTAGE LOSS BE. 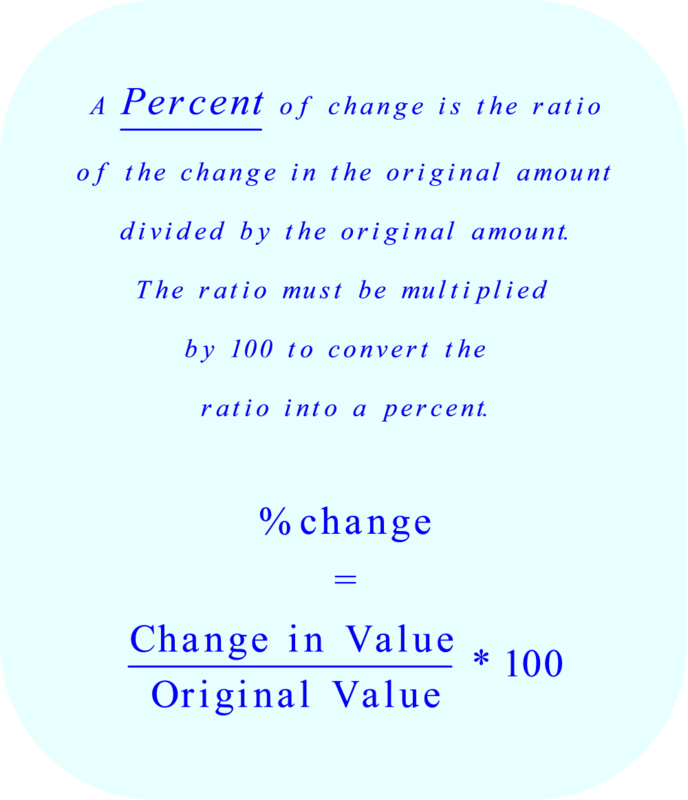 A percent of change is the ratio of the change in the original amount divided by the original amount (the decimal quotient is multiplied by 100 to convert the decimal into a percent). When this ratio is positive it represents a percentage increase. When this ratio is negative it represents a percentage decrease. 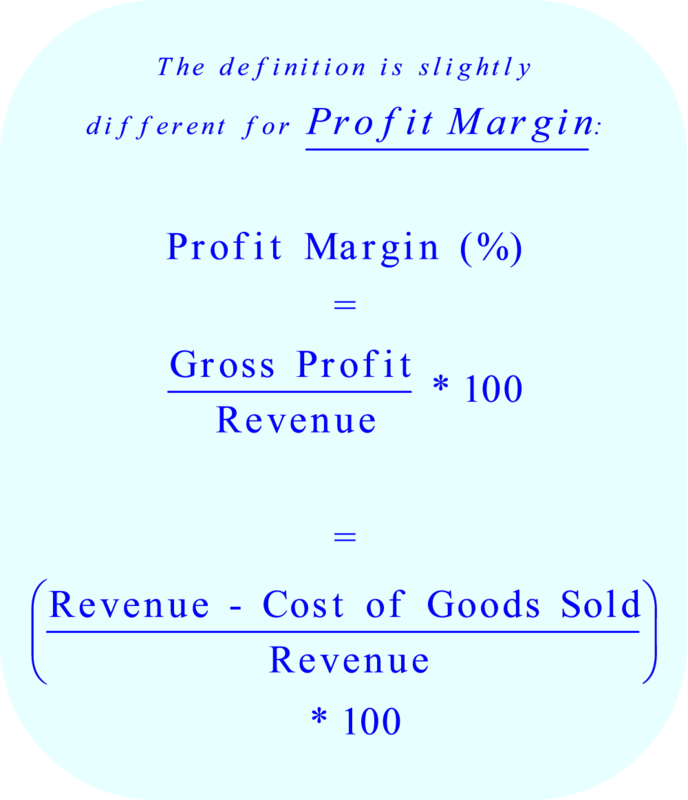 The Profit Margin is also called the Margin on Sales. Please notice that the denominator in this equation is Revenue rather than the Cost of Goods Sold. If we were to use the general definition of percentage change, the denominator would be the Cost of Goods Sold (the original amount). 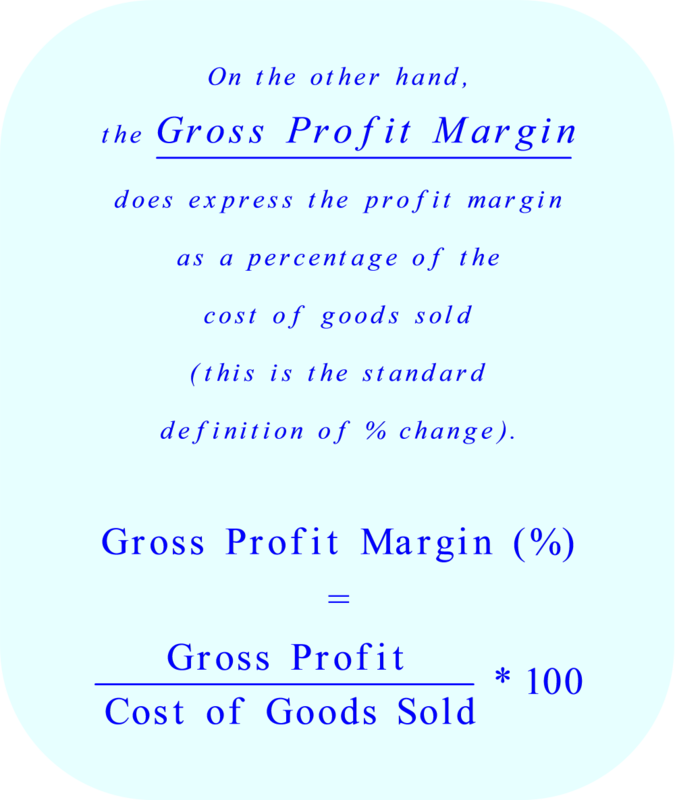 On the other hand, the Gross Profit Margin does express the profit margin as a percentage of the cost of goods sold (the original amount). 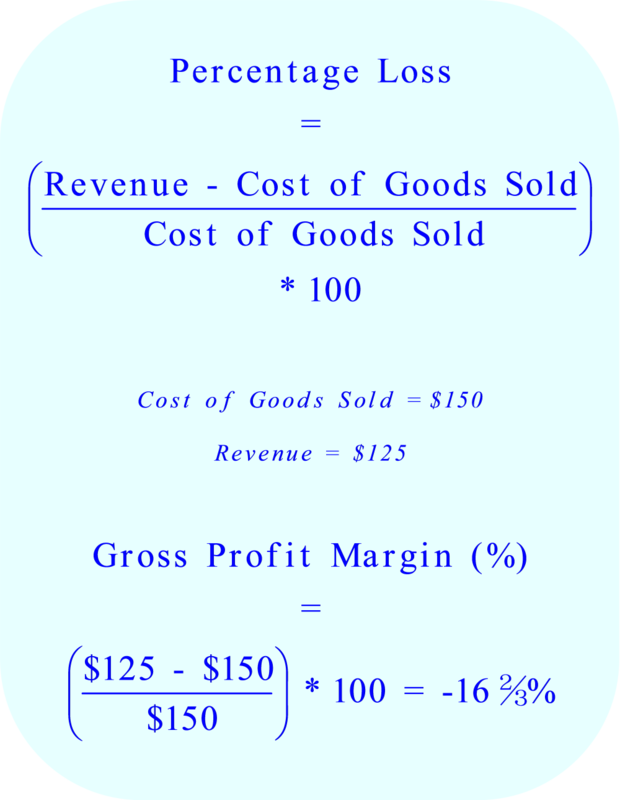 The Gross Profit Margin is commonly referred to as the Markup . When the cost of goods sold is greater than the revenue, this difference represents a loss.